A girl's just got to have another purse. You know how it is, and this one is fun. The wire form is meant to show. 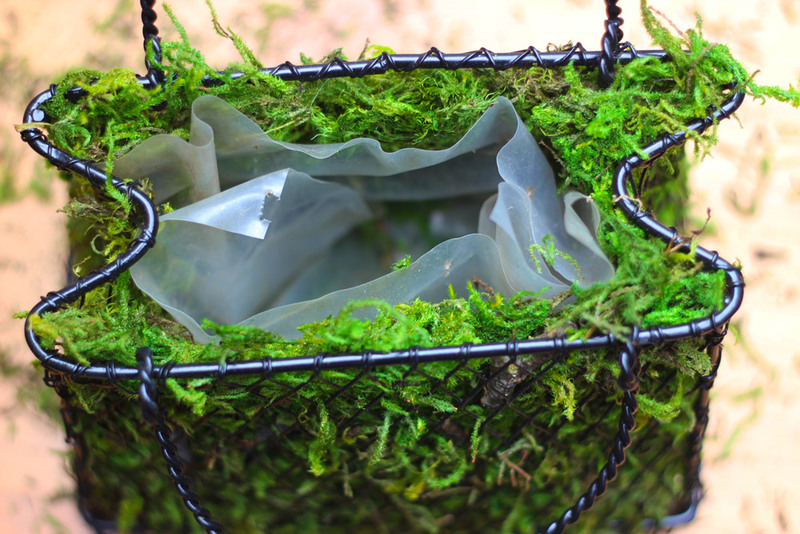 Put moss on the inside of the purse, so the moss shows through the decorative metal diamond mesh. Use a thick clear plastic or visquine to make an envelope that will hold the African Violet, so that when you water it, the water won't go all over. It is still a good idea when you water it, to set it in the sink though. This purse is just big enough to hold one African Violet. African Violets are inside plants and only like filtered light, so find someplace to make it happy. 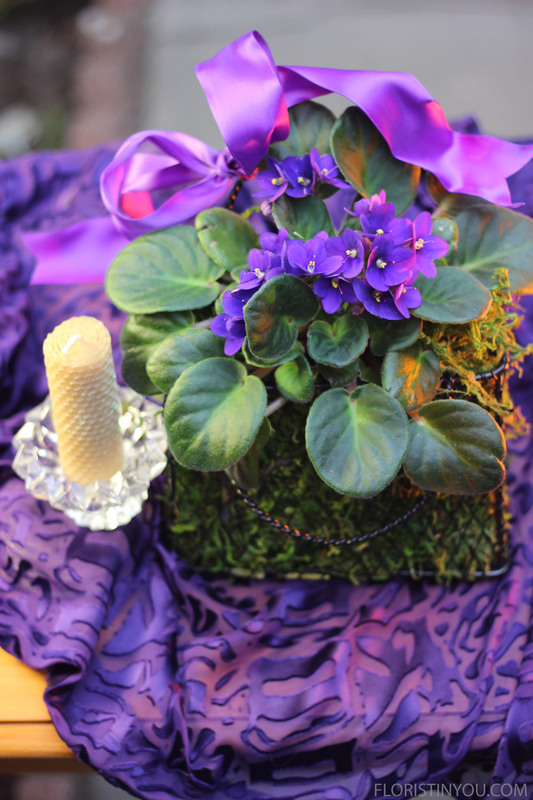 You can accent it with a ribbon the same color as the African Violet. 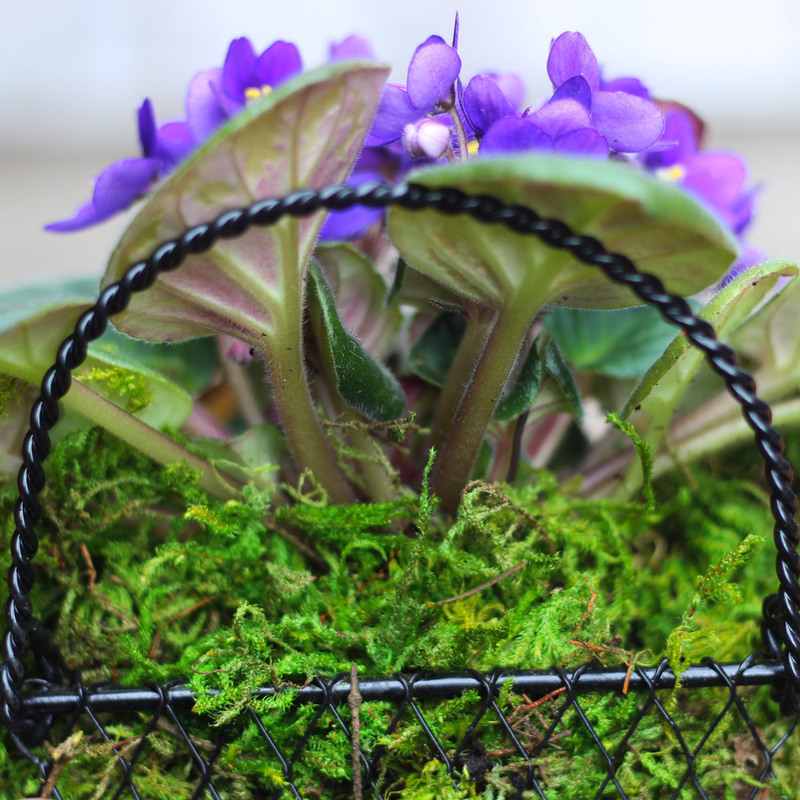 So, with a wire form, some moss, ribbon, and an African Violet, voila, you've got your new bag and you're ready to go. Here are the materials you will need. 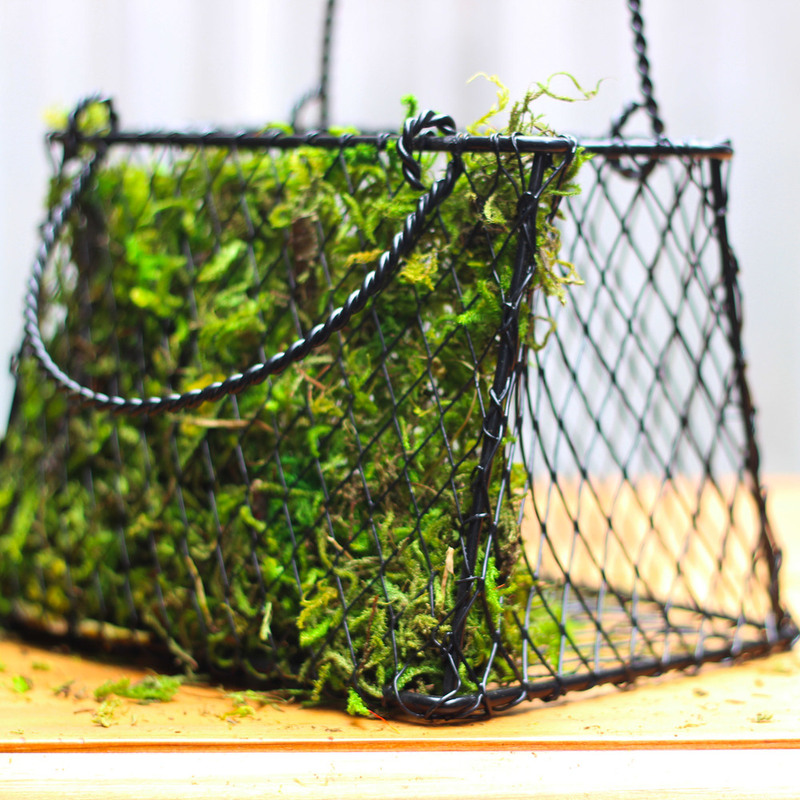 The wire purse has black diamond mesh. You need to 'moss it'. Place on side & fill. Moss both sides and bottom. 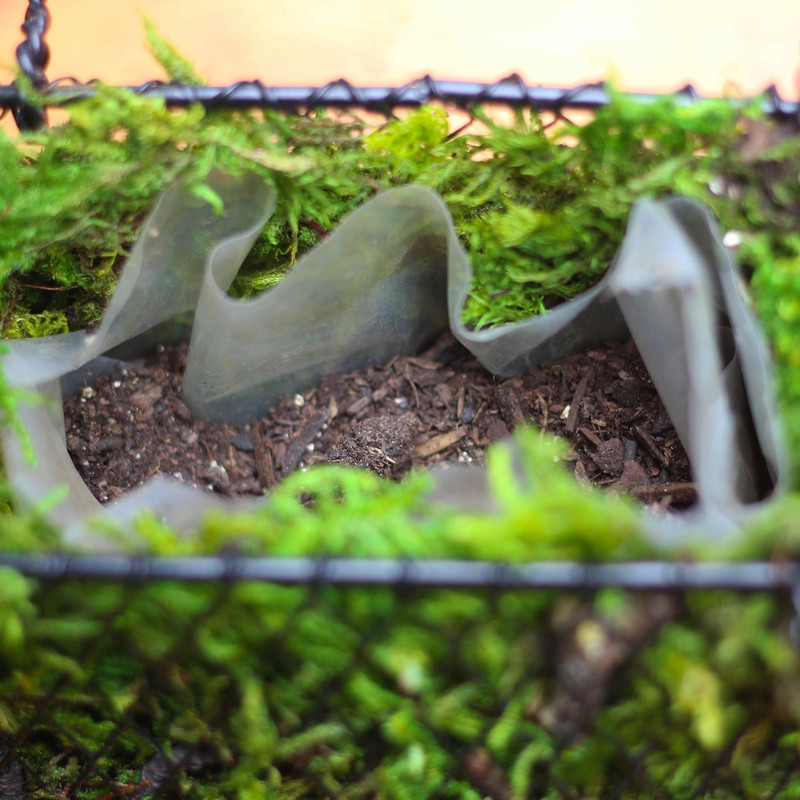 Place visquine inside to make an envelope for plant. You will need extra potting. Pour about a cup into visquine. 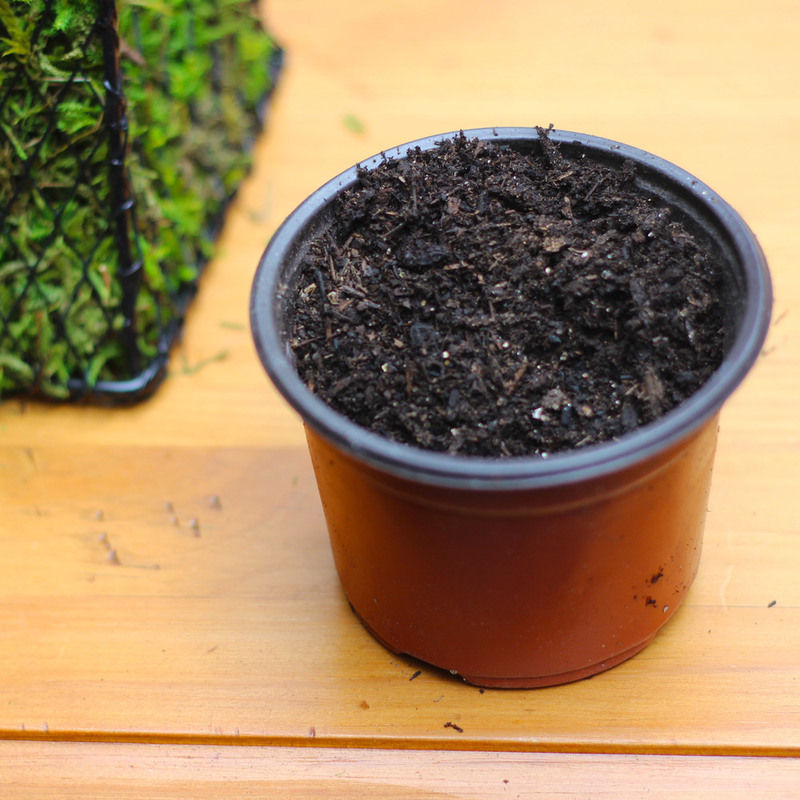 Plant the African Violet into the soil. Push moss around plant so you can't see the visquine. Tie a bow on the handle. 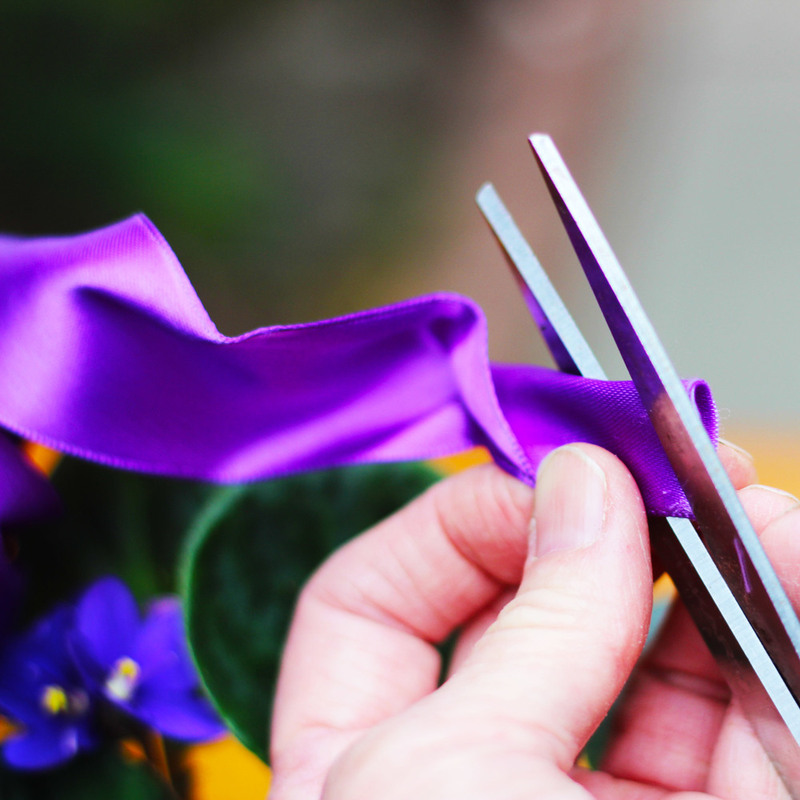 Cut a V in each ribbon end.